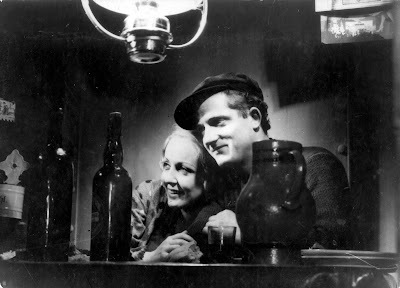 There are few events in cinema more tragic than the life of Jean Vigo. His father, a WWI pacifist, was strangled in prison where he was sent for treason when Jean was only 12. 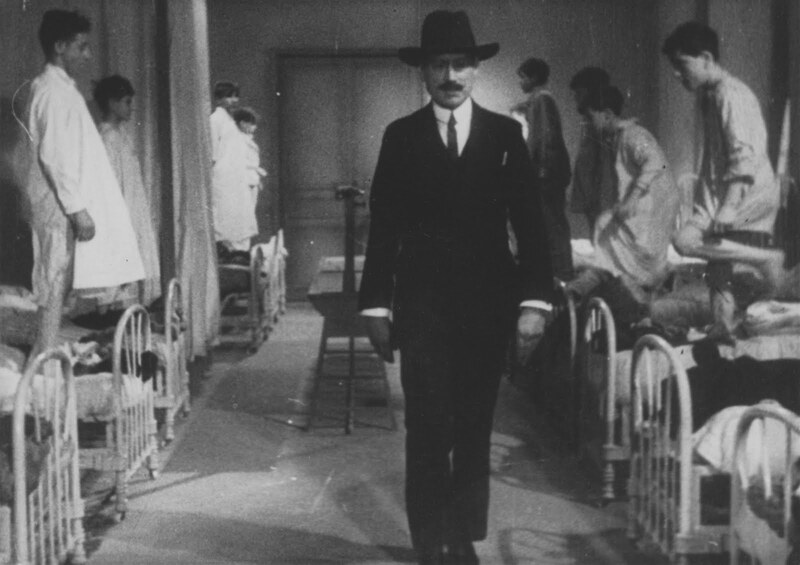 He was sent off to a boarding school under an assumed name (a period in his life that would later inform his third film, Zéro de conduit), and fought an eight year battle against tuberculosis. Vigo made four films, three shorts and a feature, before his death in 1934 at the age of 29. Yet despite Vigo's many misfortunes, his films, much like the man himself, remained upbeat and clever, filled with what would become a trademark wit and verve. His life's work only adds up to less than three hours of screen time, and his films were either banned or flopped. Like many great artists, Vigo was a failure in his own time. It wasn't until a post-WWII reconsidering of his work that Vigo was recognized for what he was - a cinematic master. Those 163 minutes of celluloid represent one of the most staggeringly accomplished filmographies of all time, portraying an artist at the apex of his talents, cut down in his prime, who showed more promise, more range, and more raw talent than many filmmakers could ever achieve. Dita Parlo as Juliette and Jean Dasté as Jean in L'ATALANTE. The Criterion Collection, in collaboration with Gaumont, is releasing Vigo's complete filmography on DVD and blu-ray in one package for the first time. It's a staggering package, worthy of a consummate artist whose work, unfortunately, goes overlooked outside of cinephile circles. In the film world, however, Vigo is a legend, with a huge following of both filmmakers and actors. He has been cited as an influence by the likes of Bernado Bertolucci, Francois Truffaut, Eric Rohmer, Lindsay Anderson, and many others, while references to Vigo's work continues to pop up. Only recently, while accepting an Honorary Oscar, Sidney Lumet paid tribute to Vigo, while Helen Mirren named L'Atalante her favorite film in an Academy Award interview. Criterion's set is a veritable cinematic treasure trove, and includes all four of Vigo's films - À propos de Nice, Taris, Zéro de conduite, and L'Atalante. His first film, the 23 minute long À propos de Nice (1930), is a sly silent documentary that is presented almost as a travelogue, a portrait of the beauty and opulence of the French Mediterranean city of Nice. However, instead of extolling its virtues (as it initially appear he will do), Vigo begins to peel back its classy veneer to reveal the economic ruin and social rot underneath. Through a series of symbolic, surrealistic images (a woman's clothes simply fade away, leaving her naked, as the city is 'laid bare'), Vigo throws back the curtain on the grim realities of Nice and the almost hedonistic excesses that dare to cover it up. It's an audacious debut, displaying Vigo's visual prowess before he moved on to more conventional narrative filmmaking. Blanchar, a.k.a. du Verron, as Surveillant-Général Bec-de-Gaz ("Beanpole") in ZÉRO DE CONDUITE. Vigo's second film is, by comparison, extremely minor. A nine minute tribute to Olympic swimming champion Jean Taris, Taris is a relatively straightforward documentary short, wherein Taris explains several of his strokes. The film does feature some of Vigo's visual wit, but is otherwise the only film in the director's canon that is otherwise non-essential. The real crown jewel, in my opinion, is his third film, the 44 minute long Zéro de conduite (1933), which in English means "Zero for Conduct." It is thrilling and rowdy tale of childhood set in a repressive boarding school, whose buffoonish caretakers (led by a comically diminutive headmaster, and a nosy housemaster the boys refer to only as 'Beanpole') delight in giving them a zero grade for conduct for every minor infraction. The boys soon become fed up with their teachers (save for one, the Chaplin-esque Huguet, who becomes a sort of benevolent encourager), and lead a rebellion against the school. It's an exhilarating scene, shot like a WWI battle, with boys marching in slow motion, a naked body reveling in anarchic rebellion, flags proudly waving the jolly roger in an ecstatic display of childhood abandon. 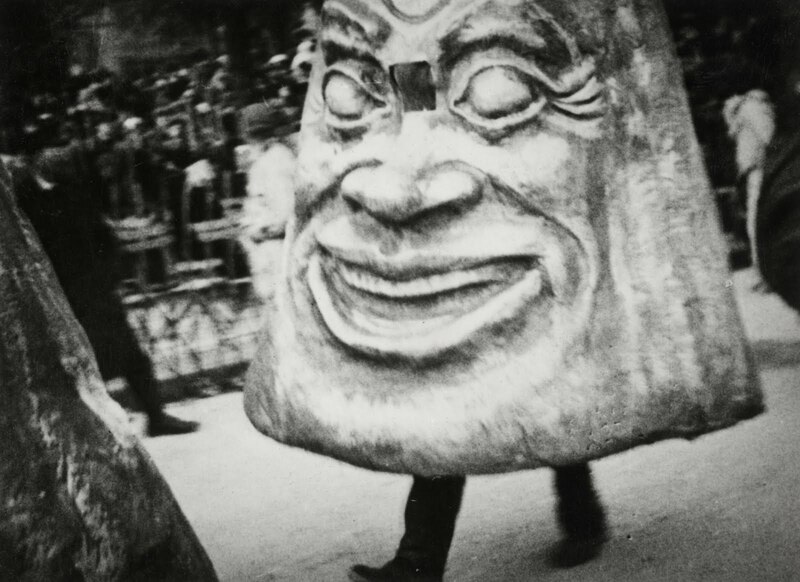 It is Vigo's most personal film, drawn from childhood experiences and fantasies that seems to sum up the subtly subversive aspects of his work (the film was banned in France until 1945 for being too anti-establishment), with surrealist touches that form a strange and compelling union with his more realist tendencies. It's a work that doggedly refuses to be categorized, seemingly existing within a child's imagination, both vibrantly youthful and disarmingly wise. Zéro de conduite is, in many ways, the spiritual antithesis to Vigo's last film, the feature length L'Atalante (1934). It was as if all his previous work was leading up to this. While each of Vigo's films stands starkly apart from the others, L'Atalante is, for many, Vigo's masterwork. It's interesting coming so soon after Zéro de conduite; L'Atalante was a director-for-hire project, not one of Vigo's originals. Where Zéro de conduite is messy and vivacious, L'Atalante is measured and mature. It feels like the work of a more mature filmmaker, even if I prefer the deeply personal energy of Zéro de conduite, which feels like the work of a young hot shot at the height of his career. One may watch L'Atalante and mistake it for the swan song of an old master at the end of his career. And indeed, it would be the last film Vigo would make before his death in that same year. It's the story of a newlywed couple embarking on their honeymoon on board an old river barge called the L'Atalante (home of an eccentric crew and a host of free roaming cats), of which the husband is the skipper. As the two try to adjust themselves to the routine of married life, they soon run into problems, as she finds herself the object of attraction to other men, and his jealousy is aroused by her even talking to any other member of the crew. Eventually the strain becomes too much, and they find themselves apart, before finding a way to reconcile their differences and reunite. L'Atalante is a disarmingly wise look at the daily trials of married life. Less surrealistic than his other works, the film is warm-hearted and sublime, a tender relationship study that focuses more on character than plot. Vigo makes great use of locations, shooting the film on an actual barge in French canals, using unfavorable conditions in his favor to craft a film that feels startlingly immediate, even contemporary, in its thematic construction and realism. His usual wit, humor, and visual inventiveness are there (a scene in which the protagonists make love while in completely separate locations, their movements and the lighting lyrically informing the action, is especially stunning), but L'Atalante feels like a kind of summation of his work. Vigo knew he didn't have long to live, and he threw himself into his art with all the more relish. He completed a lifetime's worth of work in four years, and it's especially fascinating watching the films in succession. Criterion's set is a rare opportunity to watch the progression and growth of an artist, and it can be done in a running time that's shorter than Titanic. The blu-ray also features an illuminating conversation between Francois Truffaut and Eric Rohmer about Vigo, which is especially interesting for cinephiles as we watch two cinematic giants paying tribute to another. Les voyages de 'L'Atalante' traces the various incarnations the film has gone through throughout the years during its many reedits and restorations, while Michel Gondry pays tribute to Vigo in an animated short. The disc is chock full of material on Vigo, placing the films in the proper historical context while paying tribute to one of cinema's greatest unheralded giants, while the extensive liner notes provide the necessary background on each film that read like an engrossing crash course in the history of early French cinema. The Complete Jean Vigo is a veritable masterclass in cinema history, and one of the most important blu-ray releases of the year. It belongs on the shelf of every cinephile, where thanks to the Criterion Collection, the name of Jean Vigo won't be forgotten any time soon. 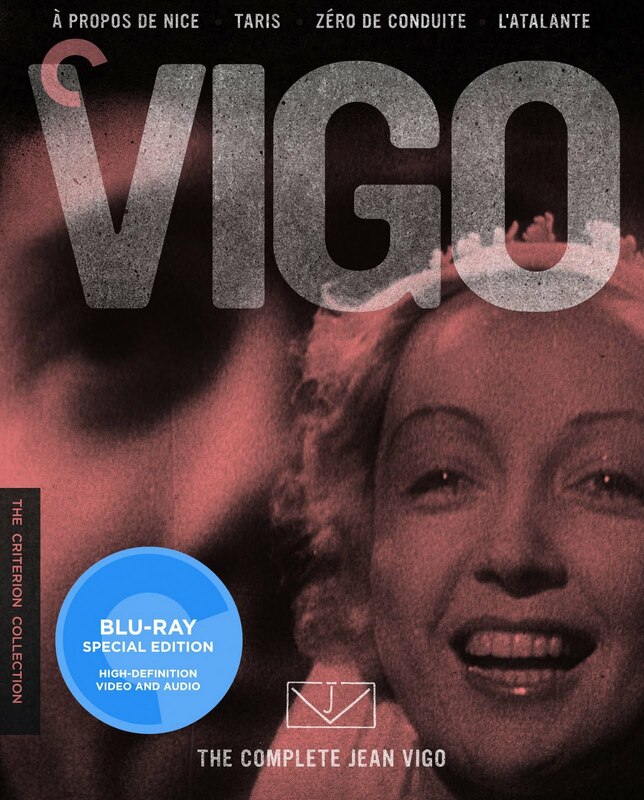 The Complete Jean Vigo is out today, 8/30, on blu-ray and DVD from The Criterion Collection.